Our two little hives are going gangbusters this year. We’ve harvested twice and will need to harvest one or two more times this summer. It’s an exhausting, sticky process. We don’t have a honey house so we extract in our kitchen with newspapers on the counters and towels on the floor. 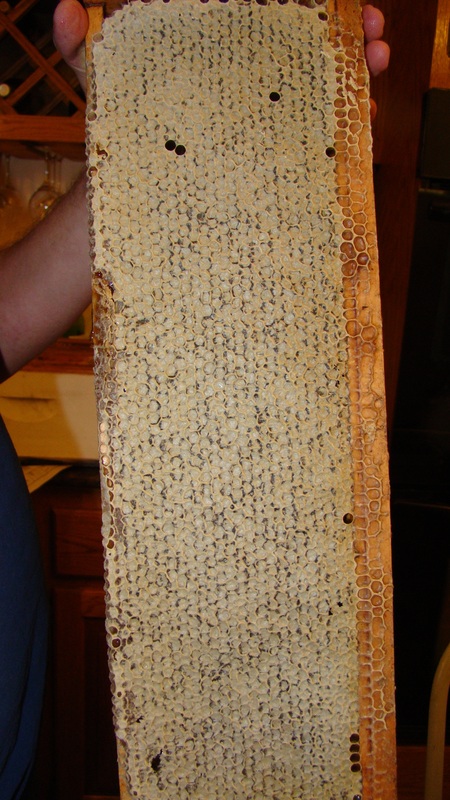 The trickiest part is getting the honey frames in the house without any bees tagging along. Connie, what a gorgeous harvest! FANtastic!!!!!!!!!! 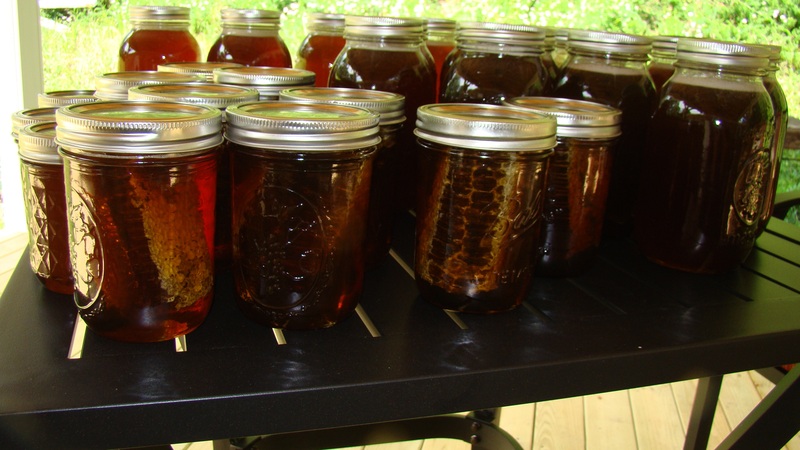 And from only 2 hives. Girls must like it there. Oh goody. Hope you have an extra one. I’m out! I’d love to have bees one day. 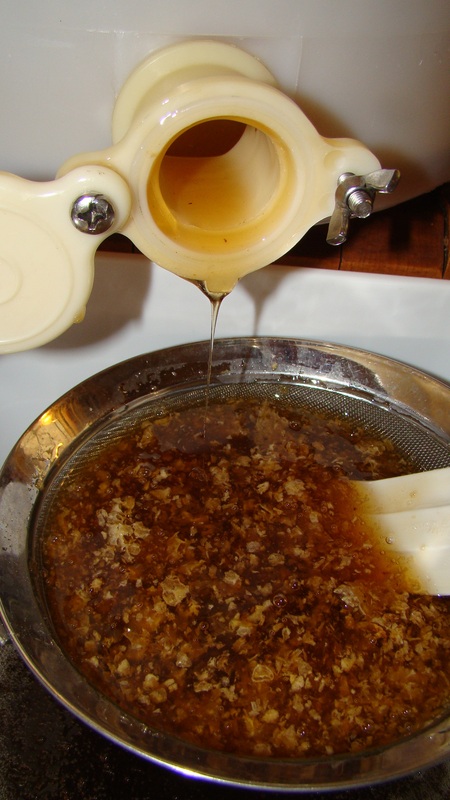 Please might you tell us a little about the equipment you use, and how you process the honey? 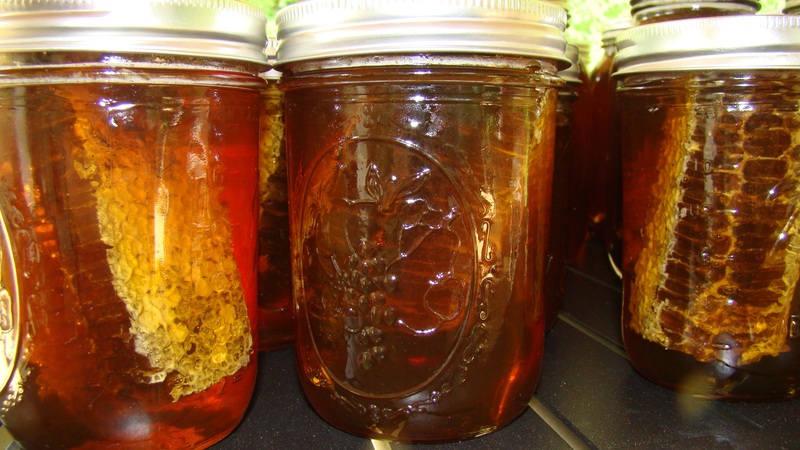 I’ve never had honey with honeycomb in the jar, though I have seen it for sale. What do people do with the honey comb when they have eaten the honey in the jar? I’d be happy to, plavixo. Let me do a full post on the processing. I’ll get some good in-process photos the next time we harvest (which should be soon). Some people eat the comb, some just chew it. It sticks in my teeth so I stay away from doing anything besides sealing mushroom logs and making candles with it.